It’s time to put those Halloween decorations away, as a new type of celebration has started in Animal Crossing: Pocket Camp (Free) beginning today. This month mark’s the game’s first anniversary of its release, so the month of November will be dedicated to the title’s first birthday. And who else to best represent the Animal Crossing name during the festivities than everyone’s favourite pup, Isabelle?! During the month, and spanning across several events, players will collect anniversary candles to earn exclusive rewards. Each event will also offer its own rewards, and follow traditional event structures of garden, scavenger hunt, and fishing tourney. The rewards from candles include a giant cake, as well as the outfit Isabelle is sporting this month. The first part of Isabelle’s Party-Prep Project is on now; it is a garden event featuring Rosette seeds and Flutterbows. Grow Blue Rosette Seeds to attract Pink Flutterbows, and Purple Rosette Seeds to attract Yellow Flutterbows. It’s during garden events such as this one that having good friends in Animal Crossing: Pocket Camp is imperative, as swapping Flutterbows with them is by far the easiest/quickest way to collect creatures. Obtain the Potted Blue Rosettes by trading with Lloyd. Obtain the Potted Purple Rosettes by trading with Lloyd. Obtain the Red Carpet by collecting six Pink Flutterbows and/or six Yellow Flutterbows, or by trading with Lloyd. Obtain the Spicy Party Tray by collecting 16 and 38 total Yellow Flutterbows, and/or collection 50 Pink Flutterbows. Obtain the Party Table by collecting 24 Yellow Flutterbows and/or 25 Pink Flutterbows, or by trading with Lloyd. Obtain the Standing Floral Display by collecting 60 Yellow Flutterbows and/or 80 Pink Flutterbows; this item will be available again in the second part of the event. 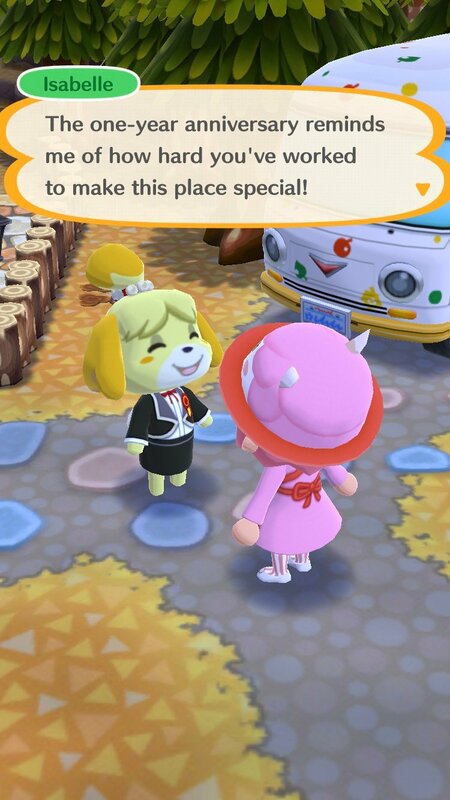 Part two of Isabelle’s Party-Prep Project begins on Monday, November 5; it will introduce one new Rosette seed/flower and two new Flutterbows, as well as new rewards. Following completion of the normal rewards during the second part, “hard" rewards will unlock. Animal Crossing: Pocket Camp continues to celebrate its first anniversary following the Party-Prep Project, as a scavenger hunt runs from November 12 to 21, and a fishing tourney runs from November 21 to 27. There’s a Gift For All of a cake stand available from November 8 to December 8 (it appears in your mailbox).